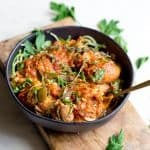 A meal that resembles restaurant quality, but comes together so quickly at home in the Instant Pot! 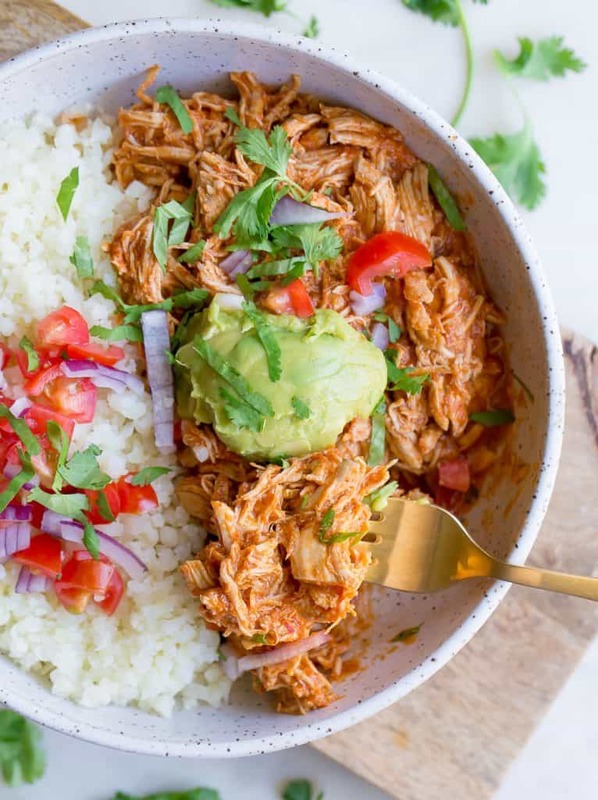 Instant Pot Chicken Tinga makes for the best version of chicken tacos….EVER! Paleo and Whole30 friendly. Yes, these are the absolute best way to enjoy chicken tacos! Yes, they are ridiculously easy! And yes, I did just post another taco recipe last week: Sheet Pan Shrimp Tacos. 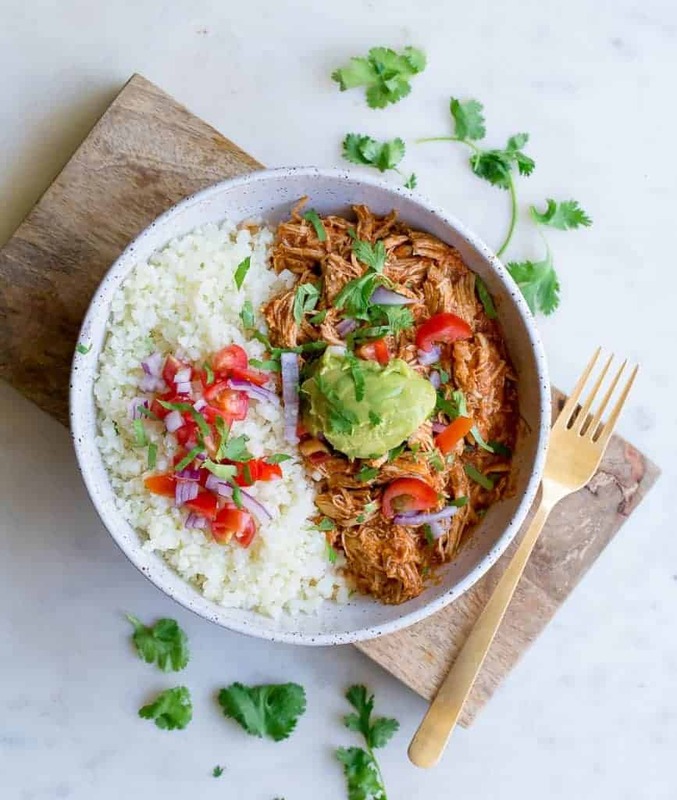 What is Chicken Tinga? I’m glad you asked. Because honestly guys, this Mexican food loving girl born and raised in California didn’t even know what it really was until last month. Not going to hold anything back here. After a double header baseball game in Richmond, VA, we decided to eat out at the closest and authentic sounding/looking Mexican restaurant we could find. It’s the best thing to do after you’ve been sweating all day in baseball clothes. It’s several levels above fast food, deliciously tasty, and no one judges your baseball outfits. We’ll be back soon to visit. But but. The best part about this gem of a restaurant? They had an entire section of “Mexican bowls”. Totally my jam. One of the dinner options was chicken tinga with lots of vegetables over a bed of rice. They also served you a nice portion of guacamole, and a Mexican salad. EXACTLY what I wanted for dinner. 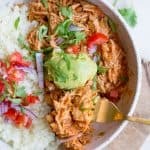 I discovered after my first bite, that Chicken Tinga was a chipotle tomato infused braised pulled chicken. 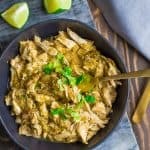 And that if I had to name this recipe a few months ago, I would have called it: Instant Pot Shredded Chipotle Chicken. To make this recipe have more of that chipotle flavor, use chipotle peppers in adobo sauce. I have yet to find one that is Paleo/Whole30 compliant because most brands contain trace amounts of sugar. BUT, you can easily swap with chipotle spice powder. 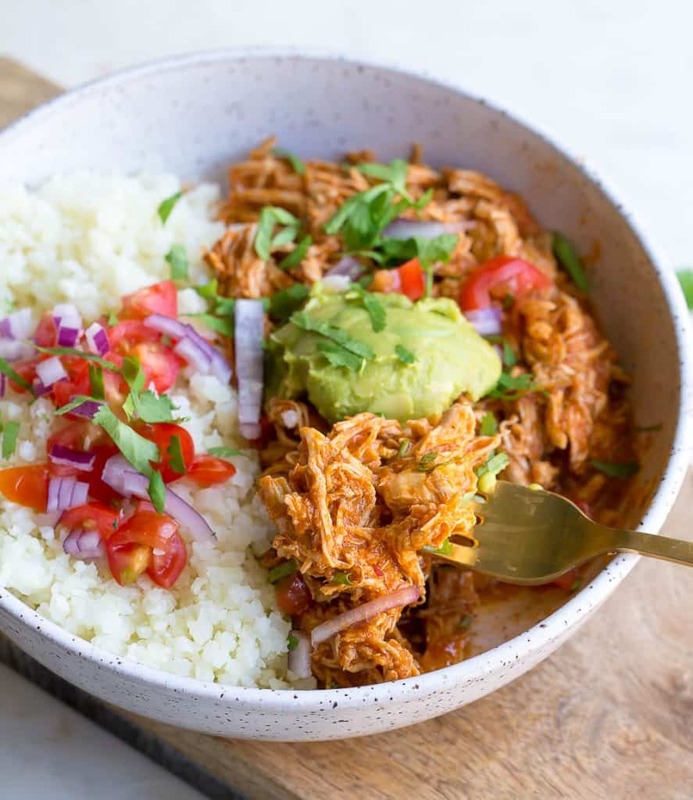 The Instant Pot works wonders in this dish, giving you that pulled tender chicken in just 10 minutes! DO NOT forget about all of the goodies: salsa, avocado, guacamole, fresh tomatoes, cilantro, etc. Select the saute function on the Instant Pot. Once hot, coat the bottom of the pot with oil. Toss in onion and garlic. Saute for 3-4 minutes, or until fragrant. Select cancel. Transfer the onion and garlic mixture to a high powered blender or food processor. Clean the bottom of the pot (this will help to prevent a burn message when you bring the chicken to pressure). Now add the diced tomatoes, chipotle peppers, adobo sauce, ground cumin, salt, and chicken broth to the onion/garlic in the blender. Pulse until smooth. Pour the sauce into the Instant Pot. Add the chicken, and secure the lid. Select manual (or high pressure) and cook on high pressure for 9 minutes. Use a quick release. Once steam has been completely removed, remove the lid and take out the chicken. Dice or shred using a fork and knife. Return the chicken back to the pot. At this point you can select cancel, and let the sauce cool and thicken. Or serve immediately. 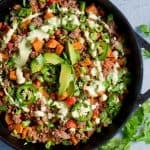 Serve with rice or cauliflower rice, or tortillas. 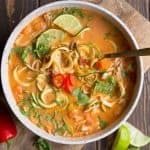 Top with tomatoes, avocado, onion, or fresh cilantro. *If following a Whole30 or strict Paleo diet, you can use 2 tsp chipotle spice powder in place of the chipotle peppers and adobo sauce. 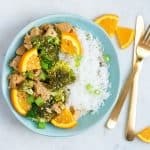 **You can quickly saute the cauliflower rice to cook, or buy frozen rice and heat in the microwave. Sounds so good! What level of spiciness would you say this is? Wanted to serve to the kiddos. It’s medium spiced. With the chipotle powder in place of actual chipotle peppers, its very mild. You can cut the peppers to 1, and just about 1/2 tbsp of adobo sauce to make it mild. My kids love it! 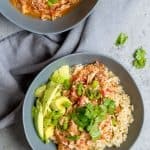 No instant pot but I love the flavor of chipotle peppers in adobo sauce! 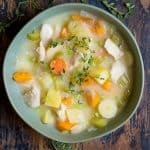 To convert to a slow cooker, just through everything in at once and cook on low for approx 6hrs? Thanks! Yes! Also cut the broth to 1/3 cup. In the pot right now!